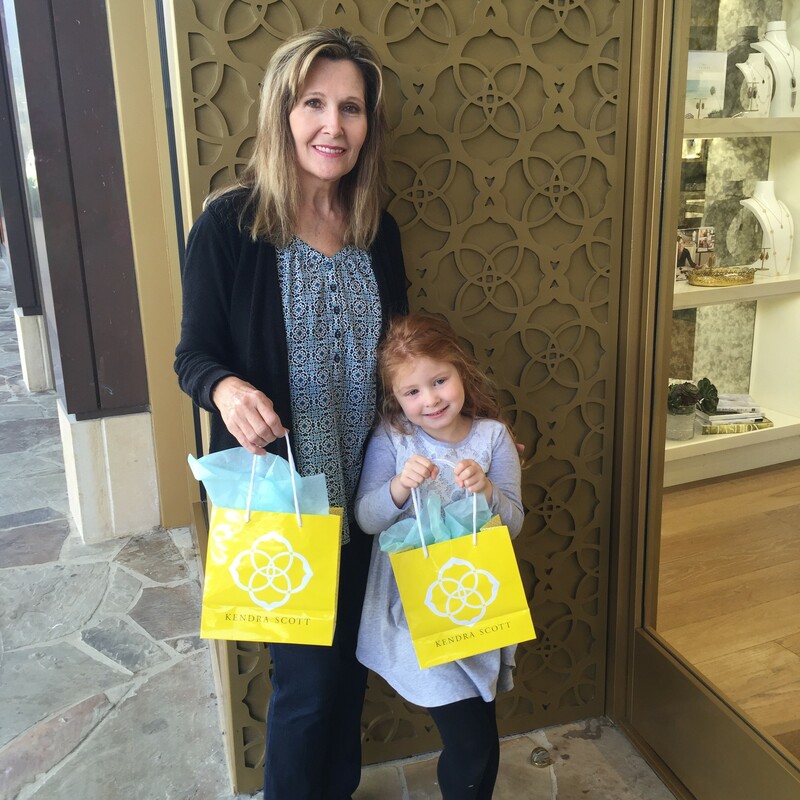 While we were still in Texas for Christmas, Lucy and my mom both celebrated their birthdays together. 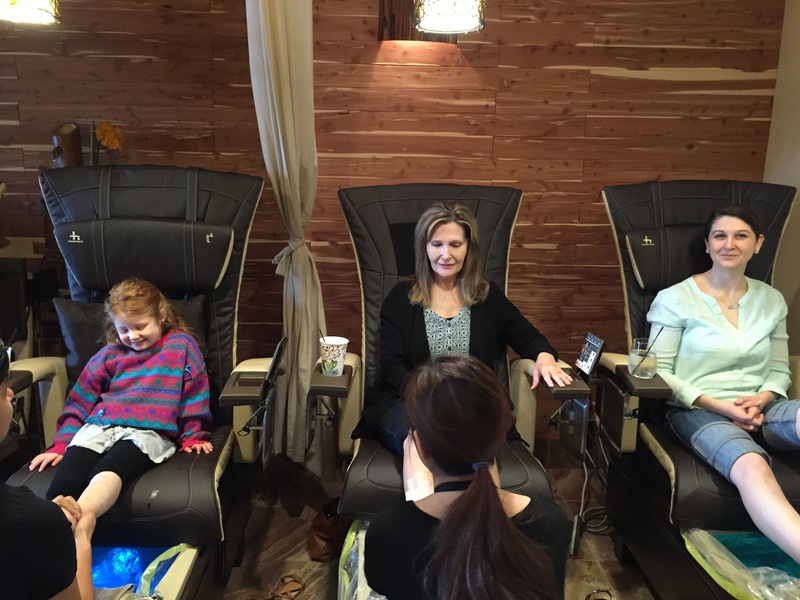 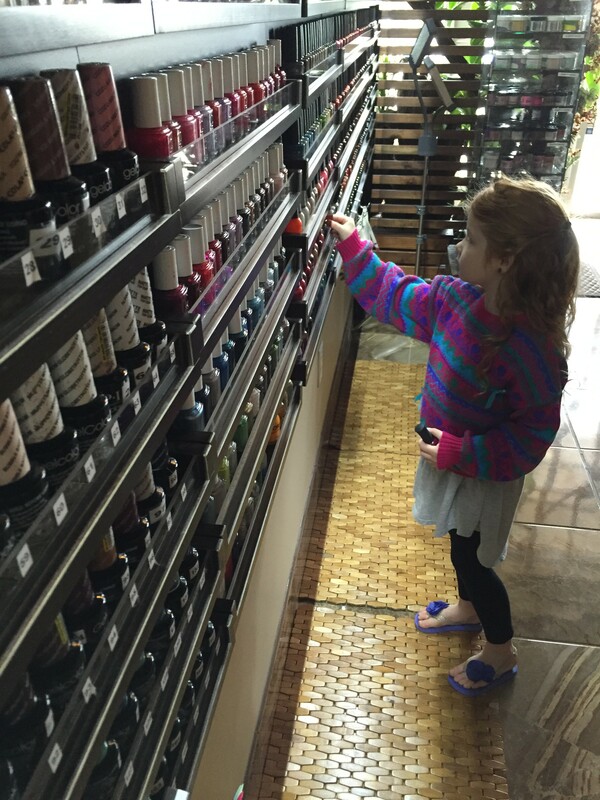 Turning five is a big deal so Aunt Tammy decided it deserved a pedicure. 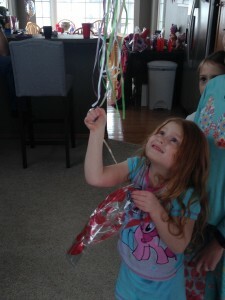 The selection process was a lengthy one. 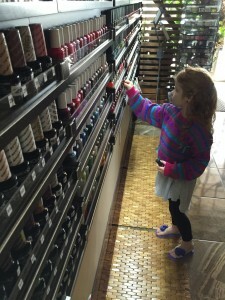 Appropriately, her color selection was, “Miss Conduct.” She dressed herself for this special outing with an old 90s sweater I dug out of my parent’s attic. 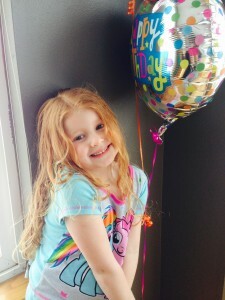 She pulls it off way better than I ever did. Lucy giggled throughout the foot massage. 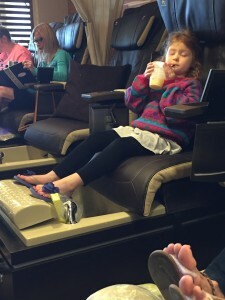 Someone offered her juice and she turned on her massage chair. I think she enjoyed herself. 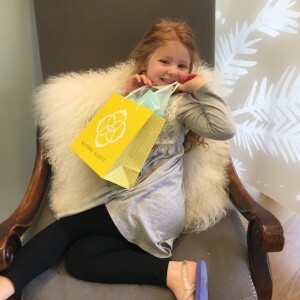 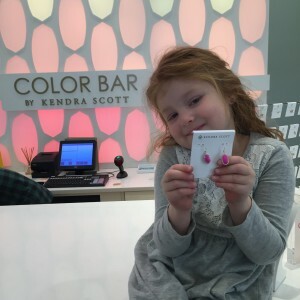 Also per Tammy’s request, Lucy needed some Kendra Scott. 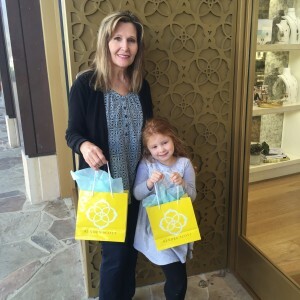 The birthday girls with their new jewelry. 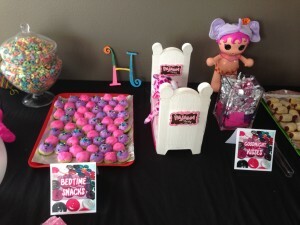 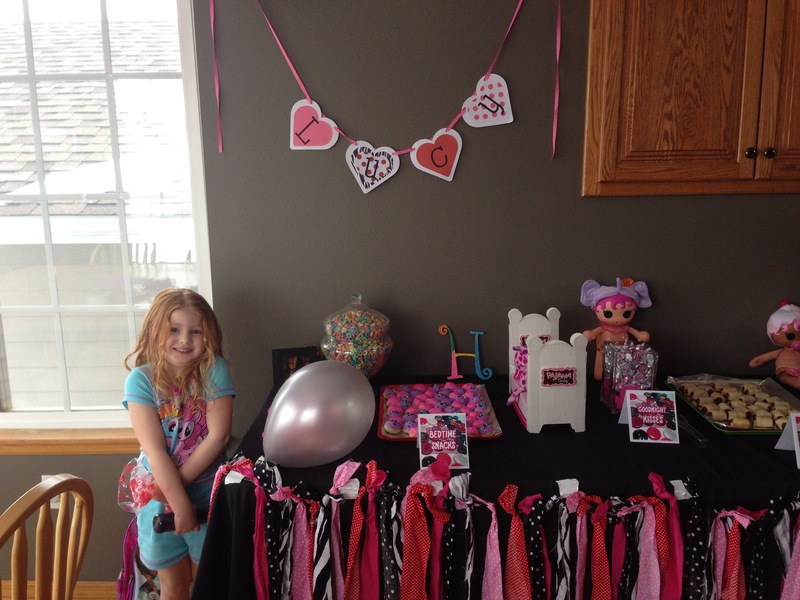 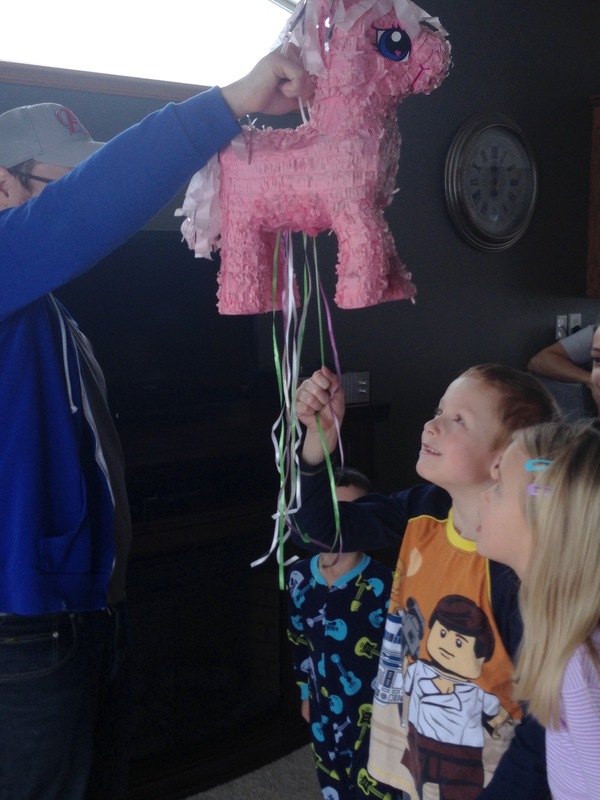 For her party she was very specific with the details: pajama party, a Lalaloopsy cake, a My Little Pony piñata, and pink and purple decor. So not quite sure what the theme was. 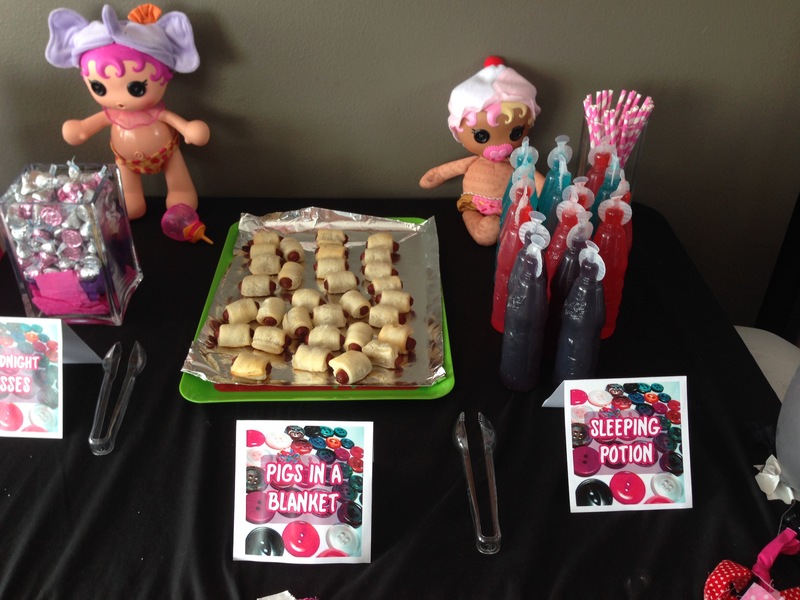 It was a Lucy themed party. This piñata was great: instead of letting little kids swing a bat around, you simply had to pull the right string to release the candy. 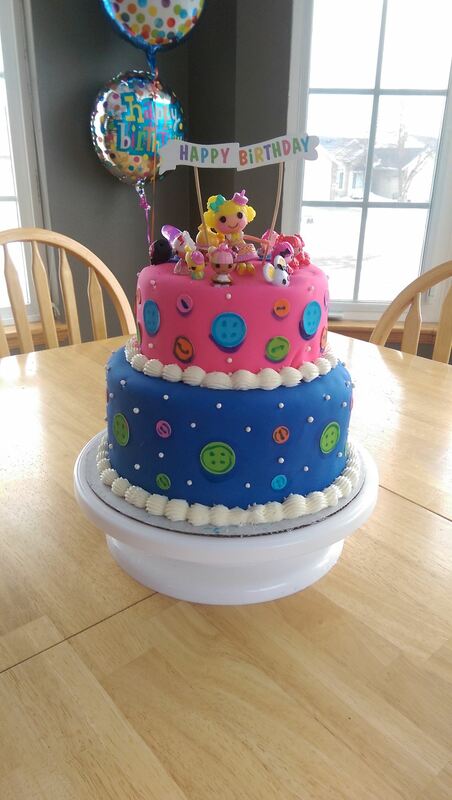 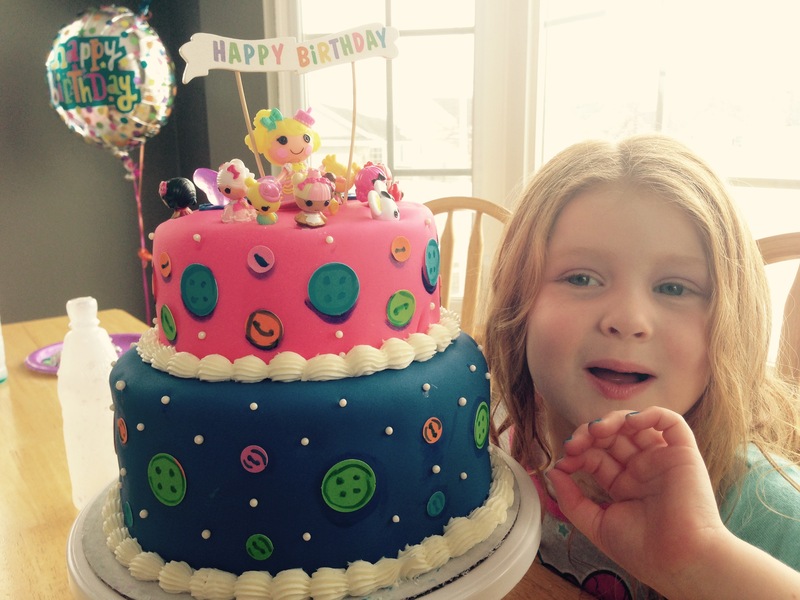 Her requested Lalaloopsy cake. 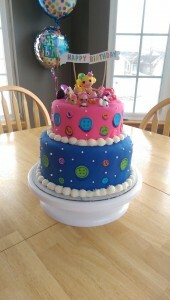 Doug did an amazing job as usual on this one.